Though some people live all their lives without encountering the criminal justice system either as a victim, witness or defendant, many of us will at some stage engage with criminal law. Whether reporting a minor offence, contacting the police in an emergency, being called upon to act as a juror or even standing trial, the processes can be intimidating unless you are provided with as much information as possible about each stage. The law is complex, but designed to make sure every possibility is provided for. 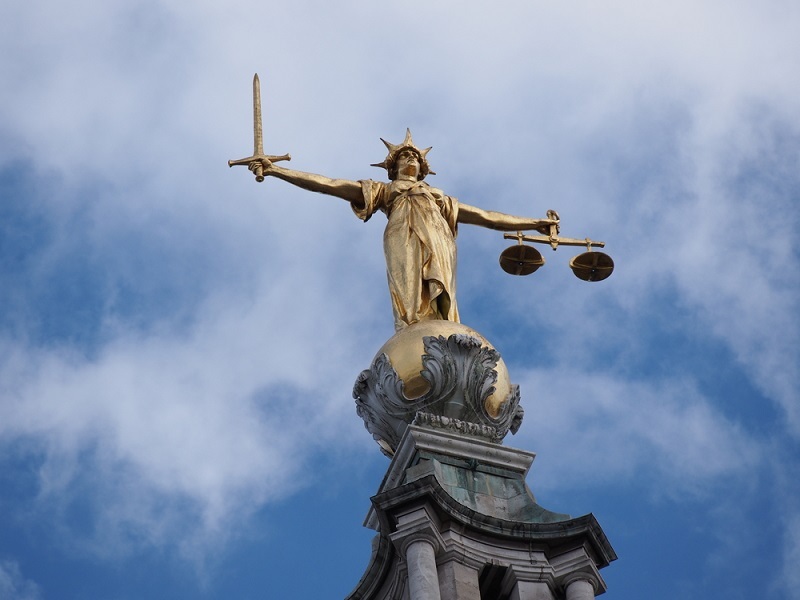 This guide sets out some of the most important things you need to know about the English criminal justice system, from the earliest stages of reporting a crime through to sentencing and appeals. What should I do if I need to report a crime? What will the police do next? What does the CPS do? Will the media be involved? What happens if a young or vulnerable person is arrested? What happens if I am questioned? How long can I be held at a police station? What happens at a magistrates’ court? What are the main duties of a jury? Does a trial ever end without a verdict? Are there other types of sentences besides prison? What is a ‘hate crime’? Can a child be charged with a crime? It is an important right of every citizen that they can report any crime or suspected crime to the police. There are various ways you can do this. In the case of an emergency, do not hesitate to dial 999, and either remain where you are until assistance arrives, or follow the instructions of the control room. emergency number is an excellent point of contact. All your details will be taken, and you may well be contacted again. Alternatively, you can attend your local police station and report the crime in person, or report online. The police will then begin the process of investigating the crime, to establish precisely what happened and who was responsible. Within five days, the police will inform you if someone has been arrested, charged, set free, released on bail, or given a caution, reprimand, final warning or penalty notice. If the police are unable to investigate the crime for any reason, they will let you know within five days, and provide you with information on why the investigation could not go ahead. is enough evidence to take the case to court. Sometimes, the CPS will decide there is insufficient evidence and a trial is unlikely to succeed in a prosecution. If this is the case, charges will be dropped and you will be informed within five days. make this request within seven days. Sometimes, publicity can be a very helpful tool in gathering important information about a crime. If the police consider that involving the media would be useful, they would normally ask your permission first. However, if you have been the victim of a sexual assault, publishing any information that might identify you is illegal. Being arrested can be a very unsettling and upsetting experience, but you are protected by some important rights, which govern the exact process of how you can expect to be treated in a police station and thereafter. You would normally be taken immediately to a police station by the arresting officers. You will be held in custody until an appropriate time for you to be questioned. This will usually be done as soon as possible. Your possessions will be removed and held in safe keeping, but you will usually continue to wear your own clothes. To be entitled to free legal advice. To be shown the police 'Code of Practice'. To tell someone where you are. To have medical assistance if you are feeling ill.
To see a written notice explaining your full rights, including your right to have breaks for refreshment and to visit the toilet. If English is not your first language, you are entitled to see all this information in your own language, and to have an interpreter. a parent, guardian or other adult with responsibility for caring for the person arrested. An 'appropriate adult' will come to the station and accompany the arrested person and be a support and help during the whole process. An appropriate adult may be a parent, guardian or carer; a social worker or volunteer; or another friend or family member. You will be questioned 'under caution'. This means a police officer will read a statement setting out how your responses to questioning may be used if the case comes to trial. "You do not have to say anything. However, it may harm your defence if you do not mention when questioned something which you later rely on in court. Anything you do say may be given in evidence." If you do not understand the wording of the caution after it is read, ask the police officer to give further explanation. It is a very important part of your rights that you understand the full process. The full interview will be recorded. The Police Code states that this is to "instil confidence in its reliability as an impartial and accurate record of the interview". The purpose of the interview will be to ask you a series of questions to establish the facts of the case. The interviewing officer is not permitted to use any coercive methods, including raising their voice. If a senior officer believes any delay might interfere with evidence, alert other suspects who have not been arrested or place people in danger. If your chosen solicitor either cannot be found or refuses to attend the police station, or if you do not wish for any other legal help. If you ask for legal advice but then change your mind. There may be some situations where a suspect is not thought fit to be interviewed, for example if they are confused or insensible through the use of drink or drugs, and unlikely to understand the significance of the answers they may give to questions. It is very likely the police will take evidence from you such as DNA samples and fingerprints. This evidence may be destroyed if you are either not charged, or you are charged and acquitted. Usually, the maximum period you can be detained at a police station is 24 hours. If the offence is an indictable offence (i.e. you can be tried at a Crown Court), you may be held for a further 12 hours on the authorisation of a senior police officer. If the police wish to hold you for longer to continue questioning, they will need to apply to amagistrates' court for a warrant, which can extend the period of detention to an overall total of 96 hours. Bail without charge: the suspect will return to the police station at a later date, and will then either be charged with a crime, or be informed there will be no further action. Bail after being charged: if a suspect is charged, but the police are confident they will attend court on the given date and will not pose any threat to the public or commit any crime, they can be released on bail after charging. 'Summary offences', which are comparatively minor and might include motoring offences, and can be heard at a magistrates' court. 'Indictable offences', which are more serious and will be passed straight onto the Crown Court for trial. 'Either way offences', which may be heard at either court. An example of an either way offence might be theft, which is generally a summary offence, but certain circumstances of which might merit a longer sentence which can only be handed down by a Crown Court. If you are charged with a crime, you will be provided with a 'charge sheet' setting out the full details. You will then probably be bailed until a court date, though in some instances, for example if you are suspected of having committed a serious or violent offence, the police may decide to remand you in custody. You would then be held in prison until you are due to appear at a magistrates' court, which is the first stage of all criminal trials. Magistrates' courts have existed in some form in the UK since the 14th century. All criminal trials begin at a magistrates' court. There will generally be three magistrates at a hearing. On rare occasions there may be two if a third cannot be found, but this is avoided wherever possible to prevent the possibility of disagreement and stalemate. Most magistrates are 'lay magistrates' who have no legal training. However, they are assisted by a qualified legal advisor. There are also professional magistrates, who are known as district judges. They are appointed by the government after at least seven years' legal practice. Magistrates do not wear any wigs or robes, and are addressed as either 'sir' or 'madam'. What Happens at a Magistrates' Court? All criminal trials – from petty theft to murder – begin at a magistrates' court. There is no jury, and the evidence will be heard by the magistrates and/or district judge. For summary offences, and either way offences which are suited to a magistrates' court,evidence will be heard from both the defence and the prosecution, including from witnesses giving oral evidence. The magistrates will then give a guilty or not guilty verdict and impose a sentence (see below for further information on sentencing). The majority of Crown Court cases will be jury trials. The judge can make certain legal decisions and provide the jury with clarification and advice, but it is the jury who makes the final decision on whether a defendant is guilty or not guilty. Trying to understand what happens during a criminal trial can seem intimidatingly complex because there are so many different kinds of offences, which inevitably lead to differences between the way trials unfold. For example, a multi-handed murder trial will be far more complex and lengthy than a trial following a robbery. However, there are some principles which guide all criminal trials, and ultimately the same process is followed whatever the crime. At the first stage of any Crown Court trial, the court clerk will read out the charge sheet setting out the crime which the defendant is accused of committing. This is known as an 'indictment'. In a criminal trial, the prosecution always brings its case first. After the indictment is read, the prosecuting lawyer – who will either be a barrister or a 'solicitor advocate' – will briefly set out what they consider to be the main facts of the case against the defendant. The prosecution will then bring evidence to the jury, and can do this by various means, including oral and/or written evidence from a witness, and 'admissions', which is evidence agreed by both the prosecution and the defence, and are read aloud to the jury. If evidence from a witness is given orally, this means the witness attends court in person and answers a series of questions from both the prosecution and the defence lawyers. If the prosecution lawyer has called the witness to offer evidence on its behalf, the prosecution questioning is known as 'examination in chief'. The defence lawyer will then further question the witness, seeking to demonstrate that some or all of his or her evidence is irrelevant, mistaken, nonfactual or in any other way not supportive of the prosecution's case. This is called 'cross-examination'. When the defence lawyer calls his or her own witness to offer evidence supporting the defendant's not guilty plea, the process is the same. All witnesses in a criminal trial will have already provided written statements to the police. If their evidence is not disputed by either side, and so would not be subject to cross-examination in court, it may be decided that they do not need to attend. In that case, the defendant’s written statement will be read aloud to the jury. Various items can be brought into the court to show the jury, and to support evidence. Common exhibits include photographs and CCTV evidence, and items of clothing. A defendant may choose not to give evidence in his or her own trial, but this is not usual, and the judge may decide to direct the jury to bear in mind the refusal to give evidence. Once the prosecution has brought all its evidence, there will be a short break, before the defence brings its case. The process as regards witnesses and evidence will be identical to that of the prosecution case. When all the evidence has been heard, the prosecution lawyer and the defence lawyer will make their closing speeches, and ‘sum up’ the evidence. These speeches are often very eloquent and persuasive, designed to sway the jury. A judge will then provide a final summing-up of the case, sometimes giving directions to the jury as to how they should consider the evidence before them. In some trials, but not all, a unanimous verdict is required. The jury then retires to deliberate, and after a period of consideration returns. The appointed foreman will deliver the verdict of guilty or not guilty. The presence of a jury in a trial is a very important part of England’s historical heritage and helps preserve a just and fair legal system. Jurors are chosen at random from the electoral register to ensure there is no possibility of a jury member being biased or influenced during a case. Once the 12 jurors are chosen (usually from a slightly larger group of potential jurors asked to attend court), they will be sworn in and will pledge to undertake their duties with integrity. There are different ways this can be done. Most Christians will opt to swear on the Bible; others may prefer to swear on another holy book, and some will simply give a non-religious affirmation. The names of the jurors will be read out to the defendant. If the defendant objects to one or more of the jurors, he or she has a right to explain why, but this does not necessarily mean that the juror will be removed. The trial will usually commence with the judge addressing the jury, and issuing some instructions and guidance to emphasise the crucial importance of their role in establishing the facts. Discussing any aspects of the case with anyone, either in person or by any other means of communication. Carrying out any additional research or inquiries into aspects of the case, for example by looking up defendants or witnesses on the internet. Taking any account of any media reports surrounding the case. There are some occasions when a trial may end without a verdict being reached. This can happen when some or all of the charges brought against the defendant are dismissed at the conclusion of the prosecution’s evidence. This is known as there being ‘no case to answer’, and will only happen if there are serious problems with the evidence. When someone is acquitted in this manner, it carries the same weight as a ‘not guilty’ verdict. There are rare occasions when a jury cannot reach a verdict (known as a ‘hung jury’). If a verdict cannot be reached, the jury will be dismissed and the trial will end. However, this does not constitute a ‘not guilty’ verdict, and there may be a re-trial, depending on the reasons behind the jury’s failure to agree. Decisions and convictions made in magistrates’ and Crown Courts can be taken to a higher court to be ‘appealed’. A magistrates’ court decision will be referred to the Crown Courts, and a Crown Court conviction will be referred to the Court of Appeal. Appeals from a magistrates’ court might be appeals against conviction, or appeals against the sentence imposed following a guilty plea. Appeals will be heard by a Crown Court judge in the company of two magistrates. Appeals against conviction are effectively another hearing, and there will therefore be a repeat of the process undertaken at a magistrates’ court, with the prosecution and defence bringing their evidence, and the judge and magistrates making their decision. To appeal against sentencing, the prosecution will present the facts, after which the defence lawyer will argue why they feel the sentence imposed should be less serious. Anyone who is convicted by a jury in a Crown Court trial is entitled to apply to have their conviction overturned at the Court of Appeal within 28 days of their conviction. A written application to appeal will be considered very seriously by a High Court judge. Generally there will need to be evidence that there has been some error in the procedure of the Crown Court trial. For example, the defence may claim that hearsay evidence was submitted, or that the judge in some way misdirected the jury. If the High Court judge considers that there is a real possibility that an appeal may overturn the conviction, they will grant leave to appeal. There are some important differences between a Crown Court trial and a Court of Appeal hearing. Firstly, there is no jury in the Court of Appeal. The hearing is heard by three judges, one of whom will be a Lord Justice of Appeal, and two of whom will be High Court judges. They will not hear any evidence as to the guilt of the defendant, but rather will examine whether the conviction was ‘unsafe’ because of an error in the law. They will need to determine not only whether there was an error, but whether that error might have made a difference to the outcome of the trial. The conviction is upheld as ‘safe’. The conviction is ‘quashed’, and the defendant is effectively not guilty. It is also possible to appeal to the High Court against a sentence imposed at a Crown Court. The procedure is the same, and the three judges will need to decide whether the initial sentence was ‘manifestly excessive’. If so, they will impose a new sentence. There are some very complex guidelines which all judges must follow when sentencing someone convicted of a crime, whether at the magistrates’ court or at a Crown Court. Magistrates’ courts can impose a sentence of between five days and six months. There is no minimum sentence which a Crown Court can impose, and theoretically no maximum, although any sentence longer than 20 years is very rare. When considering the most appropriate sentence, a magistrate or judge will need to bear in mind two key factors: the recommended sentences set out in the government’s sentencing guidelines, and various mitigating or contributing factors. These might include very aggressive or obstructive behaviour from a defendant who shows no remorse, who might therefore receive a longer sentence, or a woman convicted of assaulting an individual who has historically subjected her to domestic abuse, and might therefore receive a more lenient sentence. Generally, people only serve half of their sentence in custody. The remainder of the sentence is spent under supervision by the probation service. Yes. Not all sentences are for periods in prison. Often it is more appropriate to hand down non-custodial sentences. Types of non-custodial sentence might include fines; Youth Rehabilitation Orders designed to help young offenders develop and improve their behaviour and/or lifestyle; or community service orders. The court can order someone convicted of a crime to pay compensation to his or her victims. Compensation may be awarded to cover a number of eventualities, including personal injury, loss of earnings and ‘pain and suffering’. In addition, there are funds available to help compensate those who have suffered emotionally or physically because they have been a victim of crime. The Criminal Injuries Compensation Authority can provide financial compensation for injuries received because of criminal activity up to two years after the event, and handles applications directly. In very extreme circumstances, victims of miscarriages of justice (those who have been wrongly convicted) may be entitled to compensation. This requires an application to the Justice Secretary, who has the power to award compensation to a wrongly convicted person when their conviction has been reversed or they have been pardoned because ‘a new or newly discovered fact shows beyond reasonable doubt that there has been a miscarriage of justice’. If the applicant is due compensation, the amount they will be awarded is determined by an independent assessor. A hate crime is any criminal act which is perceived by the victim to be aggravated or motivated by personal characteristics, for example because of his or her race, religion, sexuality, or physical health and ability. The law recognises the seriousness of hate crimes, and they can attract enhanced sentences on conviction. If a child is under 10 years old, he or she cannot be arrested for or be charged with a crime, and would not enter the criminal justice system. A child between the ages of 10 and 17 can be charged with and tried for a crime in the same manner as an adult. However, there are many provisions in place to help ensure a child defendant is properly looked after during the procedure. They are handled by the Youth Justice System, which is able to put certain measures in place including trials held in privacy, and a guarantee of anonymity. On conviction they will not be sent to adult prisons, but to secure facilities designed specifically for young offenders.